John Cunningham is a graduate of Fordham College and the University of Pennsylvania Law School. He is licensed to practice law in New Hampshire and Massachusetts. He is a former trial attorney with the Tax Division of the United States Department of Justice and a former member of the Foreign Trade and Tax Department of the international law firm of Baker McKenzie. 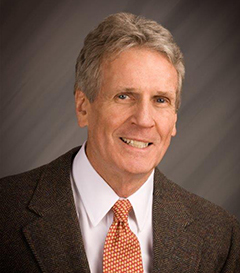 He is the principal of the Law Offices of John M. Cunningham, PLLC, Concord, NH, and he is of counsel to the New Hampshire-based law firm of McLane, Middleton, P.A. His practice is focused on LLC law and tax and on advising clients under Internal Revenue Code section 199A. He is the principal author of Drafting Limited Liability Company Operating Agreements, the leading LLC formbook and practice manual. He frequently publishes articles on LLCs and on section 199A in national journals, and he teaches seminars on these subjects for the American Bar Association, the American Law Institute and other national sponsors and for legal and accounting firms and business groups. John maintains a blog website on LLC practice at http://www.cunninghamonoperatingagreements.com/, and he frequently publishes posts from that website. 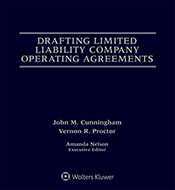 Drafting Limited Liability Company Operating Agreements is the only limited liability company formbook and practice manual that addresses the entire process of planning, negotiating and drafting LLC operating agreements, and handling LLC formations. Written by an expert on LLC law, Maximizing Pass-Through Deductions provides comprehensive guidance to pass-through business owners and their professional advisers about how to obtain Section 199A deductions and how to accomplish the above structuring and restructuring to maximize these deductions.